We are dedicated to chicken products since 1975. Since then we have continued to grow and innovate based on chicken meat products. We are present in several European countries. In 1975 Hermanos Ramirez began their activity, as a cutting room. Gradually, customers were increasing and with them their loyalty to a product always of high quality. The great evolution came in 1997. With increasing demand, new facilities were built, expanded the staff, and the RGS was achieved to market throughout the European Union. Studying the market, we thought it would be a product demanded by all sectors of the population, from restaurateurs to housewives: the chicken skewers; and we launched our product. Seeing the chicken skewer acceptance among our customers, we expanded the market and in 2007 was when we tried to expand and export. Portugal was the first country. Skewer comes in a new format; smaller and ideal for the hostelry industry. And take his hand, new packaging and a new brand image. Starts our first cutting room seeking the highest quality, our company grows over the years. 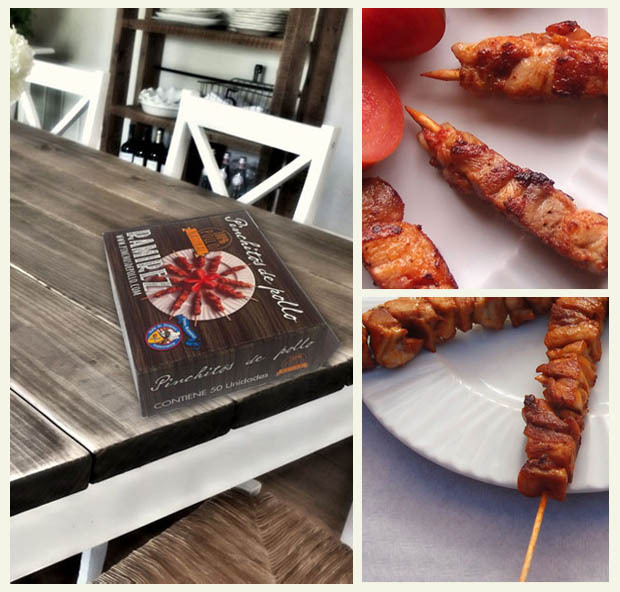 Following the success of our skewers we launched mini chicken skewers, smaller and with the same flavor, dede launch demand has not stopped growing.